We met with the doctors yesterday afternoon about the path forward for Uncle's (D and I call him Uncle and the kids call him Jimma) care. The doctor said that his kidney function hasn't improved but it hasn't significantly worsened either. Uncle is no longer on an IV or catheter and since any of the medicine he needs can be taken at home, he will be discharged from the hospital to return to Ebeye. The doctor said that if he starts swelling again or starts to have trouble breathing, he should go to hospital on Ebeye but that they might not be able to do much for him. To be brief, Uncle is being sent home to die. None of the options we were exploring for further care have panned out. He isn't qualified for an RMI government referral to the Philippines. Uncle could go to an ER in Honolulu but since they don't have family in Hawaii, there would be no way to support Auntie as far as food or a place to stay and there's no way to guarantee that Uncle would receive care beyond a week or two of emergency treatment. We looked into having Auntie and Uncle travel to Iowa to stay with my mother but while that looked like a promising option, the hospital there couldn't guarantee him long-term care until the Affordable Care Act takes effect January first, meaning that he would have to be well enough to fly half-way around the world in 28 days and unfortunately, that doesn't look likely. Auntie and Uncle have decided to return to Majuro. They have a nice house there and most of their family lives nearby. We don't know when they'll go but it will probably be soon. There aren't words to say how much we are going to miss them. 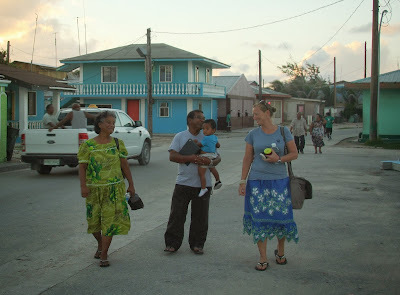 What will do with our Monday afternoons if we're not on Ebeye visiting them? Who will spoil the kids if they're gone? There will be an Auntie-and-Uncle-shaped hole in our lives and our hearts and I think it will be a long time before it starts to heal. I can only imagine how your hearts are breaking over Jimma's situation and your loss. I wonder what Bubu will do?. Will she go live in Majuro in their house there? Why had they come to Ebeye?